A: Certificates of good standing are issued to members of the bar of the United States District Court for the District of Kansas. Requests must include the bar member’s name and bar number and can be submitted to the Clerk’s Office in writing by regular mail, e-mail or by phone. A fee of $18.00 (per certificate) can be paid with cash, credit card or check (payable to Clerk, US District Court). If you are submitting a request by mail please include a self-addressed stamped envelope. If a Statement of Discipline is requested, include a specific request for such statement. Q: Who can practice in the U.S. District Court for the District of Kansas? A: You may practice in the U.S. District Court for the District of Kansas if you are 1) admitted to practice in the courts of the state of Kansas and/or the U.S. District Court for the Western District of Missouri and are in good standing (see D. Kan. Rule 83.5.2(a)); or, 2) duly admitted pro hac vice (see D. Kan. Rule 83.5.1(c)). An attorney being admitted pro hac vice must obtain local counsel and remit a registration fee of $50.00 per case (D. Kan. Rule 83.5.4). Q: If a lawyer from a firm is admitted to practice in the U.S. District Court, are all other members of his/her firm admitted as well? A: No. Law firms, law partnerships and corporations may not be members of the bar of this court. No attorney shall be permitted to appear in any action or proceeding merely because he/she is associated in a firm, partnership or corporation, one or more members of which are admitted to practice in this Court (see D. Kan. Rule 83.5.1). Q: Is there a fee for admission to the bar of the U.S. District Court? Q: Is there an annual registration fee to maintain active status in the bar of the U.S. District Court? A: Yes. Pursuant to D. Kan. Rule 83.5.3, all attorneys duly admitted to practice before this court shall annually, on or before the first day of July, register with the Clerk. At the time of each registration the registrant, if not excused by the local rules of this Court from payment, shall pay an annual fee in such an amount as the Court shall have ordered for the ensuing 12-month period. The Clerk shall issue to each attorney duly registered hereunder a registration card on a form approved by the Court. Q: How does one make a complaint against an attorney for a violation of ethics or professional conduct? A: Any person seeking to make a complaint against an attorney practicing in this Court for any cause or conduct which may justify disciplinary action shall do so in writing and under oath, except that a complaint by a judge or magistrate judge of this Court need not be verified. All complaints shall be filed in the record office of the Clerk at Kansas City and shall be referred by the Clerk to the Disciplinary Panel for such action as may be required or authorized by these rules. (See D. Kan. Rule 83.6.3(b)). A: The complaint process is not intended to address complaints related to the merits of a case or a court’s decision. Any person alleging that a judge of the United States has engaged in conduct prejudicial to the effective and expeditious administration of the business of the courts, or that such officer cannot discharge all the duties of the office because of physical or mental disability, may file a complaint with the clerk of the court of appeals for that circuit or applicable national court. The statute governing this complaint mechanism is set out at Title 28, U.S. Code, Section 351(a). For more information review the Judicial Conference of the United States and the Tenth Circuit Court of Appeals Rules for Judicial-Conduct and Judicial-Disability Proceedings. A: The Case Management/Electronic Case Filing (CM/ECF) system is the Federal Judiciary’s comprehensive case management system for all bankruptcy, district and appellate courts. CM/ECF allows courts to accept filings and provide access to filed documents over the Internet. A: Public Access to Court Electronic Records (PACER) is an electronic public access service that allows users to obtain case and docket information from federal appellate, district and bankruptcy courts, and the PACER Case Locator via the Internet. PACER is provided by the federal judiciary in keeping with its commitment to providing public access to court information via a centralized service. PACER is available to anyone who registers for an account. The nearly one million PACER users include attorneys, pro se filers, government agencies, trustees, data collectors, researchers, educational and financial institutions, commercial enterprises, the media, and the general public. Q: What is the difference between CM/ECF and PACER? A: PACER registration grants you access to view docket reports and documents from a court’s database, while CM/ECF registration will enable you to file documents electronically. To file documents in CM/ECF you must also have a PACER account, however, you are not required to have a CM/ECF account to view case files on PACER. Q: Are there eligibility requirements for filing cases on the Kansas CM/ECF system? A: Yes. Attorneys admitted to the bar of this court – including those admitted pro hac vice—and pro se parties may register as Filing Users of the court’s Electronic Case Filing System. Each attorney or pro se party filing electronically must complete and sign an Electronic Filing Registration Form. Form A is for attorneys. Form B is for pro se parties who want to file electronically or who want to receive electronic notification only. Attorneys admitted pro hac vice may retrieve documents electronically through PACER and will receive System-generated notices of electronic filing. However, CM/ECF will not allow the attorney to file documents electronically. Q: Did I receive a federal ticket? Or how do I know if I received a federal ticket? A: If the ticket you received does not say “U.S. District Court Violation Notice” across the top, then you did not receive a federal ticket. Federal tickets are issued by law enforcement personnel from agencies such as the U.S. Military Base in Fort Leavenworth or Fort Riley, KS. Other agencies include the U.S. Park Police, U.S. Fish & Wildlife, Department of Defense Police, U.S. Coast Guard, U.S. Provost Marshal, Air Force, Marines & Navy Security Forces, U.S. Postal Police, U.S. Customs, U.S. Border Police, and V.A. Police. Click here to see example of federal ticket. Q: What is the difference between a Central Violations Bureau ticket and a ticket requiring me to appear before a Magistrate Judge? A: Petty offenses are sometimes called infractions and are minor crimes that include such things as speeding, simple assault and other minor traffic violations. These are more than likely violations given with a ticket. Sometimes a court appearance is required. Your ticket will indicate if you can pay a fine by a certain date or whether you will be notified about a court appearance. Misdemeanors are more serious than petty offenses, but not as serious as a felony. These may include theft or possession charges. Misdemeanors are put into categories A, B and C and many, but not all, will have a charging document called “an Information” filed along with the violation notice. These cases require an appearance by a U.S. Magistrate Judge and you will be notified by the clerk’s office. Q: What is the Central Violations Bureau? A: The Central Violations Bureau is a national center responsible for processing violation notices (tickets) issued and payments received for many federal petty offenses cases. This includes violations that occur on federal property such as military installations, federal buildings, national parks, Veteran Affairs medical centers, national wildlife refuges, and national forests. The Central Violations Bureau processes violation notices for violations of federal law that occur outside federal property as well. For example, migratory bird offenses that occur on private property. Q: How do I know if I have a Central Violations Case (CVB) or a case where I appear before a Magistrate Judge? A: If you are to appear before a United States Magistrate Judge, box A on your violation notice should be checked. It may or may not have a date but the United States District Court will contact you with a notice to appear on a specific date and time, usually the 2nd Wednesday of the month for Ft. Leavenworth. The dates of the Ft. Riley docket varies based on judges’ schedules, but is always held on Thursday. If the ticket is to be paid through the Central Violations Bureau it will be indicated in Box B or on the back of the ticket. Go to http://www.cvb.uscourts.gov for more details regarding payment. If you fail to pay the fine you will be required to appear and notification will be sent to you. Q: Who is my contact at the Central Violations Bureau? A: http://www.cvb.uscourts.gov will be your best contact. They give online instructions for payment and general instructions regarding this kind of ticket. Their phone number is 800-827-2982. Q: What is the United States District Court for the District of Kansas? A: It is one of our nation’s federal trial courts. The country is divided into 94 judicial districts, each with a trial court that processes civil and criminal cases that come under federal jurisdiction. The District of Kansas covers the entire state of Kansas. Q: What types of cases are heard in the federal district courts? A: Both civil and criminal cases that fall under federal jurisdiction are heard in federal district courts. Civil cases involve disputes between people, corporations or governments, in which one or more parties sues one or more parties for compensation for personal or economic damages (i.e. breach of contract involving the U.S. Government, civil rights violations, disputes between citizens or businesses of different states, patent and trademark infringement). Federal jurisdiction is determined when cases involve federal laws, the U.S. Government (or any of its agencies), more than one state within the country, and disputes between citizens or businesses of different states where the amount in controversy exceeds $75,000.00. Criminal Cases involve the violation of a federal law (i.e. smuggling drugs into the country, bank robbery, fraud or theft from federally insured institutions, counterfeiting U.S. currency, etc.). Q: What is the difference between U.S. (federal) District Courts and state courts? A: Federal courts are established by the U.S. Constitution to hear cases that pertain to the nation as a whole or involve more than one state. Federal courts handle about one million cases per year. This includes a substantial number of bankruptcy filings, while criminal cases account for approximately 10% of the total filings in federal courts. State courts, on the other hand, are established by each state, or by a county or city within the state. They hear cases pertaining to local, county or statewide matters. State courts handle approximately 30 million civil and criminal cases per year. Q: Can I apply for a marriage license in federal court? A: No. You may obtain a Kansas marriage license through Kansas State Courts. Click here for more information. Q: What is “Senior Status”, or what is a Senior Judge? A: When federal district judges reach an age that, when combined with their years of service totals eighty, they have the option of taking “senior status.” Taking “senior status” allows them to draw a lighter caseload while remaining active in the court, although many continue to carry a full caseload. Q: What types of advice can the Clerk’s Office personnel give? Q: What are the fees for filing documents in federal court? A: For a complete list of current fees, click here. Note: when paying fees by check or money order, please make them payable to the Clerk, U.S. District Court. Q: Where can I obtain a copy of the Local Rules? A: Copies of the Local Rules can be accessed on our website at www.ksd.uscourts.gov or a book version is also available from the Clerk’s Office in Kansas City, Topeka or Wichita. Q: What are the phone numbers for state court? Q: Who do I call for general information? 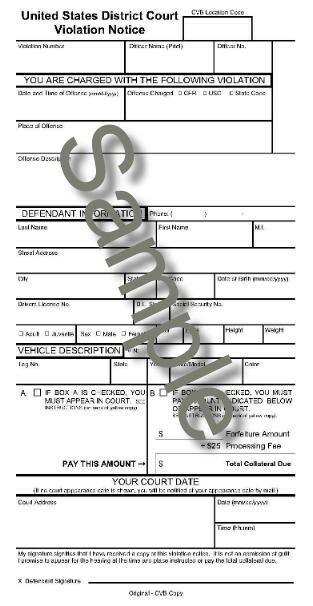 A: Included in your summons is an informational form including jury contact information. You can also click here to be directed to the Jury Information page. Q: How will I know when to report for jury duty? A: When summoned for Kansas City or Topeka, you are instructed to call the Automated Jury Information System (AJIS) every Friday after 6:00 p.m. for your reporting instructions. When summoned for Wichita, you are instructed to call the Automated Jury Information Line every Monday after 6:00 p.m. You will need to have your nine digit participant number available when calling in. Your participant number is located to the right of the bar code above your name and address on your summons. IT IS YOUR RESPONSIBILITY TO CALL THE AUTOMATED JURY INFORMATION LINE at 1-800-959-9519. A: Generally, petit jurors will only be asked to travel to the city in which the division holds court. Grand jurors summoned to report in Kansas City will be drawn from the KC-Leavenworth Division and Fort Scott Division. Grand jurors summoned to report in Topeka will be drawn from the Topeka division and Salina Division. Grand jurors summoned to report in the Wichita Division will be drawn from the Wichita-Hutchinson Division and the Dodge City Division. Q: What is the automated message? A: We have an automated jury information system (AJIS) which is used to inform our jurors of their status during their month of “on call” service. Jurors must call this message as instructed on their summons. The phone number is 1-800-959-9519. Q: How long is my term of service? Your term of service depends on whether you are a petit juror or a grand juror, and where you have been summoned to serve. Term of service for petit jurors: Jurors are required to be on call for a period of one month unless otherwise indicated. Some service times are longer in length. During your on-call service, you may be called to serve on any of the dates listed on your initial reporting instructions. Term of service for grand jurors: If you are selected as a grand juror, the term of service is 18 months with no maximum number of times to report. In most instances, you will be required to report once a month until your term has expired. Q: After completion of my service, when can I be called again? A: If you have served as a federal juror within the last 2 years, you may be excused upon request. Q: If I am not selected, how do I know what to do next? A: The Automatic Jury Information System will have a weekly message indicating whether or not you are to report and when to call back for further instructions. The message will also indicate when your service has been completed. Q: What if there is an emergency over the weekend or overnight and I cannot report? A: Please leave a message on the jury clerk’s phone stating the reason you won’t be in and leave a number where you can be reached. Q: What if I just don’t want to serve as a juror? A: Federal law provides for penalties for failure to report for jury service. The following are possible penalties: $1,000.00 fine, 3 days imprisonment and or community service. Q: What is the difference between a petit juror and a grand juror? A: A petit juror’s responsibility is to determine issues of fact “beyond a reasonable doubt” in civil and criminal cases and to reach a verdict in conjunction with those findings. A grand juror’s responsibility is to determine “probable cause” based on the facts and accusations presented by the prosecutor. If a grand jury finds probable cause, an indictment will be handed down. An indictment is the most common way a criminal case starts. In summary, grand jurors decide if there is enough evidence to indict (file charges) and petit jurors decide guilt or innocence. Q: What types of cases are heard in federal court? A: We have both civil and criminal trials in Federal Court. Criminal trials consist of juries composed of 12 jurors plus alternates, and civil trials are composed of 6 to 8 jurors. Q: What are the boundaries for the state of Kansas? A: The United States District Court for the District of Kansas is comprised of six divisions located in three courts, namely the Kansas City U.S. District Court, the Topeka U.S. District Court, and the Wichita U.S. District Court. The Kansas City-Leavenworth Division is comprised of the counties of Atchison, Doniphan, Douglas, Franklin, Johnson, Leavenworth, Miami, and Wyandotte. The Fort Scott Division is comprised of the counties of Allen, Anderson, Bourbon, Chautauqua, Cherokee, Coffey, Crawford, Elk, Greenwood, Labette, Linn, Montgomery, Neosho, Wilson, and Woodson. The Topeka Division is comprised of the counties of Brown, Chase, Clay, Dickinson, Geary, Jackson, Jefferson, Lyon, Marshall, Morris, Nemaha, Osage, Pottawatomie, Riley, Shawnee, Wabaunsee, and Washington. The Salina Division is comprised of the counties of Cheyenne, Cloud, Decatur, Ellis, Ellsworth, Gove, Graham, Jewell, Lincoln, Logan, Mitchell, Norton, Osborne, Ottawa, Phillips, Rawlins, Republic, Rooks, Russell, Saline, Sherman, Sheridan, Smith, Thomas, Trego, and Wallace. The Wichita-Hutchinson Division is comprised of the counties of Butler, Cowley, Harper, Harvey, Kingman, Marion, McPherson, Reno, Rice, Sedgwick, and Sumner. The Dodge City Division is comprised of the counties of Barber, Barton, Clark, Comanche, Edwards, Finney, Ford, Grant, Gray, Greeley, Hamilton, Haskell, Hodgeman, Kearney, Kiowa, Lane, Meade, Morton, Ness, Pawnee, Pratt, Rush, Scott, Seward, Stafford, Stanton, Stevens, and Wichita. Q: How do I make a request to be excused? A: All requests to be excused must be in writing and come from the summoned juror. You may email, fax or mail your request. Email is preferred. The contact information is listed under the contact link on this website. All hardship requests must be submitted in a timely manner. As soon as you are aware of a schedule conflict, please notify the court immediately so that we can take your request under consideration. You will need to track your status by calling the Automated Jury Information System as instructed in your summons packet. You will need to have your 9-digit participant number available. The participant number is located on your summons, below the bar code. Q: Should I call the court to be excused? A: No. You should submit a request to be excused in writing. The only time you should call regarding an excuse is when you have a last minute emergency that cannot be handled by sending a written request. Q: What if I have vacation or important events scheduled during my term? A: All requests to be excused must be in writing and come from the summoned juror. You may email, fax or mail your request. Email is preferred. The contact information is listed under the contact information on this website. All hardship requests must be submitted in a timely manner. As soon as you are aware of a schedule conflict, please notify the court immediately of the specific dates you wish to have considered so that we can take your request under review. Q: Does my employer have to let me off for jury duty? A: Under federal law, employers must allow their employees time off for jury duty. An employee cannot be punished by their employer in any way for jury service. However, under the law, the employer is not required to pay salary or wages while the employee is serving jury duty. Many employers recognize the important civic responsibility of jury service. However, if your employer does not recognize the importance and creates difficulties for you based on the fact that you are fulfilling your jury duty, please let your local jury administrator know immediately. Q: On the first day of jury duty, what happens and how long will I be there? A: Juries will be selected on the first day you report for jury duty. You will go through an orientation and selection process called voir dire. During voir dire, the number of jurors who will actually serve on the trial will be selected and you will find out the length and type of trial you might serve on. If you are selected to serve, you will begin the trial that day. Court hours are regular business hours unless otherwise indicated by the trial judge. If you are not selected to serve, you will be excused for the remainder of the week and are to call back the following week as instructed in your summons packet. Q: Will I ever be required to serve late in the evening or be sequestered? A: Sometimes trials will run into the evening hours. If that happens, you will have ample time to make any necessary arrangements and advise your family. Sequestration is always a possibility. However, you would be informed of that possibility ahead of time. Q: How many days do the trials last? A: Jury trials can last anywhere from one day to several weeks in length. Trials run an average of 2-3 days in length. You will have an opportunity to tell the judge when you report of any hardship you have in fulfilling your jury service due to the length of the trial. Q: What fees are paid to jurors? A: Jurors are paid $50.00 per day for each day they are in attendance and an additional $10 per day after 10 consecutive days of service. Jurors who are Federal Employees may not receive the attendance fee. Jurors are also paid a mileage fee (current rate is set by Government Services Administration) and reimbursed for parking expenses. Q: When will I receive payment for my jury service? A: Jury checks are mailed within 2-3 weeks of service. Q: Do you have a stub on the check breaking down the amount paid? A: No. However, if you require a breakdown, you may contact the jury clerk. Attendance fees are considered as compensation for services rendered by jurors. Travel and subsistence (per diem) allowances are considered reimbursement for out-of-pocket expenses incurred by the juror. If a juror drives, takes public transportation, or spends the night in a hotel, then the juror has incurred an out-of-pocket expense and is reimbursed by the Court for that expense. Please note that prior approval must be granted for over-night stays. Q: Are juror attendance fees considered reportable income? A: The IRS considers juror attendance fees to be “Other Income” and must be reported on Line 21 of the 1040. At the end of the year, a 1099 MISC will be mailed to all jurors who earn $600 or more in attendance fees in the calendar year. Q: Does my employer have to pay me or at least make up the difference when I serve? A: At this time, there is no law requiring them to do so. The majority of employers at least make up the difference. Q: What if I live a long distance away and cannot travel to court the same day? A: Jurors who are unable to drive to court due to the distance they reside (at least 60 miles one-way or more), may contact their local Jury Administrator to discuss the matter. With prior approval, the court will allow jurors in special circumstances to stay the night on evenings before they are due to report. Jurors will be paid a subsistence fee for the night. If juror elects lodging in excess of the per diem, the juror will be responsible for the overage. In some instances, if you lives less than 60 miles, this requirement may be waived if good cause is shown to travel in the night before reporting. If you stay in a hotel/motel, a hotel receipt must be turned in to the local jury administrator in order for you to be paid the per diem rate. If you stay with friends or relatives, you must advise the jury staff of this. Q: If I am asked to report and must travel long distance, where do I spend the night and how do I pay? A: You should make your own reservations and pay your own bill. When you make your reservations, please advise the hotel that you are a federal juror and you should receive the government rate. Hotels that offer a government rate, but do not offer this rate to jurors, should be referred to 28 U.S.C. § 1877(b)(1), which deems jurors to be GS-2 employees during their jury service. You will be reimbursed the subsistence rate on your jury check. If you need assistance finding a hotel in the area, please contact the local jury administrator. Q: What is a multidistrict litigation (MDL)? A: Multidistrict litigation (MDL) is a procedure utilized in the federal court system to transfer to one federal judge all pending civil cases of a similar type filed throughout the United States. The decision whether cases should be transferred is made by a panel of seven federal judges appointed by the Chief Justice of the United States Supreme Court. The Judicial Panel on Multidistrict Litigation meets periodically to review requests that cases be consolidated for pretrial matters pursuant to 28 U.S.C. § 1407, a law passed by Congress. Although the panel meets in different cities in the United States on a periodic basis, the Clerk of the Panel is permanently stationed in Washington, D.C.
Q: Why was the Judicial Panel on Multidistrict Litigation formed? A: The Judicial Panel on Multidistrict Litigation was created by legislation in 1968 in response to the difficulty among the courts in coordinating almost 2,000 related cases that were then pending in 36 districts around the country which alleged a nationwide antitrust conspiracy among electrical equipment manufacturers. A consensus evolved among lawmakers and the judiciary that the Judicial Panel on Multidistrict Litigation was needed to coordinate complex cases filed in multiple districts. The Judicial Panel on Multidistrict litigation consists of seven judges presided over by the chairman. The duties of each panel member are the same with respect to deciding cases. The chairman of the panel has additional responsibilities since he is responsible for the oversight of the panel’s office, its staff of 20 employees, and its budget. Also, the chairman usually handles any necessary contacts with the transferee district. Q: How is the Judicial Panel on Multidistrict Litigation Contacted? Q: How are cases transferred from one court to another in the MDL setting? A: Proceedings for transfer may be initiated by the Judicial Panel on Multidistrict Litigation upon its own initiative or a motion filed with the Panel by a party in any action in which transfer for coordinated or consolidated pretrial proceedings may be appropriate. Before cases are designated multidistrict litigation and transferred to one federal court, the Panel convenes a hearing and notifies all parties of the place and time of the hearing. The Panel’s order of transfer is based on a record of such hearing at which material evidence may be offered by any party to an action in any federal court that would be affected by the transfer. Q: Is multidistrict litigation a type of class action? A: No. Although, class actions may be consolidated in the same manner as are single plaintiff cases. However, for cases to be consolidated the Panel must find they have one or more common questions of fact. Since commonality is also a required element for a class action, class actions are frequently litigated in MDL proceedings. Q: What happens to a lawsuit after it is transferred to a federal judge by the Panel? A: Generally, the transferee court (the MDL court) will set standing orders or pretrial orders informing the lawyers involved of the ground rules, deadlines and procedures the court expects the litigants to follow. Steering committees may be appointed to manage the substance of the litigation and the discovery of facts. In theory, discovery and case management by the MDL court should allow completion of pretrial matters, then the case must be remanded back to the transferor case for trial. The only cases that would not be remanded are those cases originally filed in the court with the MDL judge is seated. In practice, many cases sent to an MDL court are settled at some point in time during the pretrial proceedings. Many suggested procedures for MDL case management are found in the Manual for Complex Litigation, Fourth, from the Federal Judicial Center. Also, Conte & Newberg, Newberg on Class Actions, Third, at Chapter 9 discusses complex case management including MDL consolidations. Q: Does a litigant have a right to have a case decided in the state where it was filed? A: Yes and No. A judge acting as an MDL judge has the power to issue rulings on motions that may be dispositive of a case. For instance, if the MDL court should decide that as a matter of law a litigant must prevail in a lawsuit, he may grant “summary judgment” to that litigant without a trial. An MDL judge may also dismiss counts in a complaint if he determines they lack merit. Finally, an MDL judge may oversee a class action settlement if the facts of the case permit such an action. However, if a case was filed in a federal court in a different state, and issues remain to be tried after all discovery and pretrial rulings have been made by the MDL judge, he cannot “self assign” that case to himself for trial. Rather, he must remand the case back to the transferor court for it to be tried in the court where the lawsuit was originally filed. Q: Are the decisions of the JPMDL published, and if so, where? A: Yes, to a limited extent. The Federal Supplement contains those decisions and Transfer Orders the Panel determines should be published. Decisions of the Panel are also available through the LEXIS, and Westlaw commercial legal databases. Q: What fees are charged by the JPMDL? A: For parking information, click here. Q: What is a Pro Se litigant? A: If you cannot find an attorney to represent you, you can pursue your lawsuit by appearing without representation or pro se, a Latin phrase meaning “for oneself.” If you file a lawsuit and represent yourself, you are the “plaintiff.” If someone sues you, you are the “defendant.” In either case you can appear pro se. Keep in mind that as a pro se litigant, you can only represent yourself and only present your claims and defenses. Under the law, you cannot speak for another person, a company, or other entity such as a club or association that includes other individuals. When you appear pro se, you must follow the same rules and procedures as licensed attorneys who practice in this court. Generally, judges hold pro se litigants to the same standards of professional responsibility as lawyers. Q: If I decide to represent myself, what are some basic things to remember? First, you should consider the possibility that you may lose. In that instance the other side may ask that you be ordered by the court to pay their attorneys’ fees and costs. You are required to do your best to present your lawsuit to the court or defend your lawsuit. Unless and until you hire an attorney to represent you, it is your responsibility to do everything necessary to prepare your case for trial. This includes, but is not limited to, responding to discovery requests and motions from the other side and responding to court orders. You also must be prepared to present your case in court in front of the judge and others. Do not expect the court to explain or instruct you about procedures to follow for prosecuting or defending your lawsuit. If you do not follow established procedures, your case can be dismissed for failure to prosecute. If you do not respond to certain motions or orders, then certain facts may be treated as admitted. If you miss a deadline, the court can enter an order without waiting for your response. If you file anything with the court, you must give a copy to the attorney who represents the other parties, if the other parties have no attorney, you must give the copies to the other parties. Likewise, the other side must give you copies of anything which it files with the court. Sometimes, the parties will attach a certificate of service indicating that the clerk of court has been served with copies of pleadings or motions. This is not necessary. It is your responsibility, not the clerk’s office, to serve the other parties. You must keep the court and other parties advised of any change in your address or telephone number. If you do not do so immediately, the court may dismiss your case. Q: How long do I have to file my complaint (statute of limitations)? A: The time limit for filing a lawsuit depends on the types of claims raised in the lawsuit. This issue is one of federal and state law, and the clerk’s office cannot give you legal advice on the issue or tell you how long you may have to file a lawsuit. To find out how long you have to file, you must do legal research. Many federal laws specifically state the statute of limitations period. Often, if the federal law does not include a statute of limitations for the most similar type of claim, you must look to the statute of limitations under state law. Certain organizations provide legal aid or assistance to answer your questions. The clerk’s office cannot recommend any specific organization, but does maintain a list of organizations that have indicated a willingness to assist and may be able to help you. Q: How much does it cost to file a case? A: The fee to file a complaint is $400.00. There are no other fees involved in the act of filing the case. If you do not have the $400.00 fee, you may apply to have the fee “waived,” which means that you may file your case without paying the fee. You must fill out the Motion to Proceed Without Prepayment of Fees form and the Affidavit of Financial Status and turn them in when you file your complaint. The judge assigned to the case will decide if you have to pay the fee. Q: I have been named as a defendant in a case, but cannot find an attorney. What do I do? A: As stated on the summons you received when the complaint was served to you, you have 21 days in which to file an Answer. An Answer is a written response addressing the claims made in the complaint. This must be filed before the 21 days, or the court may enter judgment against you. Fed. R. Civ. P. 12 (a). You may also file a Motion for Appointment of Counsel and the accompanying Affidavit of Financial Status requesting the court assign an attorney to your case. It is important to note that specific criteria must be met in order for the court to assign an attorney to your case. Another option is to contact local legal aid resources. Q: What kinds of cases belong in federal court (subject matter jurisdiction)? A: Federal jurisdiction is one of the most, if not the most important, issue to address before filing a lawsuit. Federal Court is a court of limited jurisdiction. All sorts of cases may be filed in state court, but only three types of cases may be filed in federal court: (1) cases where the United States government is a party; (2) cases brought under federal law; and, (3) cases where the parties reside in different states and the claim is valued in excess of $75,000. If you do not meet these special requirements then the federal court does not have the “jurisdiction” to consider your lawsuit and the court will dismiss your lawsuit without considering your claims. Q: Where can I file my lawsuit and file other court papers? A: The clerk’s office has three locations in the District of Kansas: Kansas City, Topeka, and Wichita. Pleadings for any District of Kansas case may be filed at any of these offices. Q: Can I speak to the judge about my case or have someone in the clerk’s office speak to the judge for me? A: No. Except for proceedings at court, all communication to the judge must be done in writing. The clerk’s office will not speak to the judge for you. Q: My corporation has been sued. Can I file papers in court on behalf of the corporation? A: No. Only people can appear pro se. A corporation is not a “person” for this purpose. In other words, a person who is not an attorney may represent himself or herself, but may not represent a corporation, even if the person is the sole owner of the corporation. The corporation must be represented by a lawyer. You may appear in court with the lawyer for the corporation, but only the lawyer can “speak” for the corporation in court. Q: Will the judge answer my letter? A: Generally, the court will not respond to letters. If you want the court to issue an order, or provide guidance on procedural issues, you should file a motion which explains your request to the court. Q: I don’t have a computer or a typewriter, can I write my papers in long-hand? A: Yes. If the papers are legible, they may be handwritten. Remember, you will need copies to serve on the other parties. Q: Can I file my papers by email? A: Pro se litigants may submit filings by email to the main clerk’s office email address at any of three courthouses in the District of Kansas. A scanned copy of your document may be submitted in pdf. format, or it may be submitted in pdf. format with an “s/Your Name” substituted for a handwritten signature. In this instance however, you will be required to file an original copy of your document, with your original ink signature, with the clerk within three business days. Note: documents will be filed as of the date they are received electronically. Q: Can I file my papers electronically? A: Once you have filed your initial documents and your case is on file with the court, you may file documents in your case on-line, or electronically, using our Case Management/Electronic Case Filing System (CM/ECF). This system not only allows you to file your documents without coming in to the clerk’s office, it also allows you to see everything that is filed by you (the plaintiff), the court, the defense and any other parties in your case. If you would like to learn more about filing your case electronically click here. Public computer terminals are available for use at any of our clerk’s office. Q: Will the judge accept faxes? Will the clerk’s office? A: Judge’s chambers will not accept faxes without prior approval and a fax to a judge is not a filing with the clerk’s office. The clerk’s office will, however, accept documents for filing by fax at any of three courthouses in the District of Kansas. Note: documents will be filed as of the date they are received by fax. Q: Why is my case “undergoing judicial review” and what does that mean? A: To file a lawsuit you must pay a filing fee $400.00. You can ask the court to waive the filing fee however, by filing the form “Motion to Proceed Without Prepayment of Fees. Before it decides, the court must look at your case to see if it is frivolous or malicious, fails to state a claim for relief, or names defendants who are immune from suit. In addition, the court must look at whether it has jurisdiction over your case. While the court is looking at these issues, your case is undergoing judicial review. This review can take anywhere from a few weeks to a few months, depending on the court’s workload at any given time. Typically, cases are reviewed in the order in which they are filed. Q: Who can serve my summons and complaint? How is it done? A: Anyone over the age of 18 years who is not a party to the lawsuit can serve the summons and complaint. Professional process servers, typically listed in the telephone book, may be hired to serve the summons and complaint. Fees and costs vary with each server. A cost-savings alternative is to have a trusted family member or friend who is over 18 years old serve your summons and complaint. If your application to waive the filing fee has been granted, the clerk’s office will serve your complaint and summons through the United States Marshal Service, free of charge. Summons may not be issued or served however, until the filing fee issue has been resolved. If you are required to make service of the summons and complaint on your own behalf, U.S. Certified Mail is also an option. Simply return a copy of the summons along with the green certified mail card signed by the defendant (or person authorized to accept service on his/her behalf) to the clerk’s office for filing. The summons and green card will be filed. Q: When must I serve my complaint? A: If you are suing under federal law, you have 120 days from the date you filed the complaint to serve the defendants in your case. If your case has a claim under state law, you might have fewer than 120 days to serve the defendant(s). Make sure you understand the applicable federal and state rules and time limits or your case could be dismissed. Q: How long will it take to go to trial? A: We know that your case is very important to you, but very few civil cases in federal court actually go to trial. Almost all cases, whether they are proceeding with or without an attorney, are settled or decided by a judge’s order before trial. If the case survives a defendant’s motion to dismiss or motion for summary judgment and the case is not complicated and does not require extended discovery, the case may go to trial in less than a year, depending upon the judge’s schedule and priority of other cases. Q: What is a magistrate judge and why has my case been referred to one? A: All civil cases in the District of Kansas are assigned to one United States District Judge and one United States Magistrate Judge. A district judge may refer the case to the magistrate judge to handle during different parts of the case. For instance, a district judge may refer the case to the magistrate judge to handle all issues relating to discovery (for example identification and exchange of preliminary information, documents, exhibits, or witnesses). Many times, a district judge will refer the case to the magistrate judge for a report and recommendation on dispositive motions, such as motions to dismiss and motions for summary judgment. The magistrate judge will review the motion and issue a recommendation which advises the district judge what should happen with the motion. The parties then have ten days to object in writing to the recommendation. After the district judge considers the recommendation and any objections, the district judge will issue a decision. This decision is the final decision by the district court. A party who disagrees with the district court’s decision may be able to appeal it to the Tenth Circuit Court of Appeals at the end of the case. Parties may consent to have the entire case handled by the magistrate judge. In such cases, the district judge will take no part in the case. A: Either party, the plaintiff or the defendant, may request that the court take specific action related to the case. To do so, the party prepares a formal request which is called a motion. The party signs the motion, files it (with a certificate of service) and sends a copy to the other parties. The other parties may oppose the motion through an objection which states why the court should deny rather than grant the motion. Any objection must be signed, filed and served on the other parties. The district or magistrate judge normally rules on motions by issuing a written order. That order may grant the motion, deny the motion or partially grant or deny. The court generally does not schedule hearings for the parties to argue the motion or objections. Q: How do I get copies of what opposing parties file? A: Any party who files a pleading or document must serve a copy on all other parties in the case, or their counsel, and also file a certificate of such service. Q: What must a certificate of service show? A: Any pleading, motion or other paper which is filed with the court must include a certificate of service which states the name and address of each attorney and/or party on who is receiving a copy of the document and the date and method of service (typically first class U.S. Mail). Q: What is the role of the Chief Judge? A: The Chief Judge is not the “boss” of the other judges. The Chief Judge is primarily responsible for the court administration. The Chief Judge does not manage or discipline the other judges or enter rulings on their cases. A: If you have a complaint about the behavior of a federal judge, which is not related to the judge’s decision in a particular case, refer to the 10th Circuit Rules Governing Complaints of Judicial Misconduct and Disability. You may also get a copy from the clerk’s office. These rules explain what may be complained about, who may be complained about, where to file a complaint, and how the complaint will be processed. Almost all judicial complaints are dismissed because they do not follow the law about such complaints. The law says that complaints about judges, decisions and complaints with no evidence to support them must be dismissed. If you are a party in a case and believe the judge made a wrong decision—even a very wrong decision—you may not use this procedure to complain about the decision. A more proper method to complain about a judicial opinion is to appeal that decision to the Court of Appeals at the end of your case.